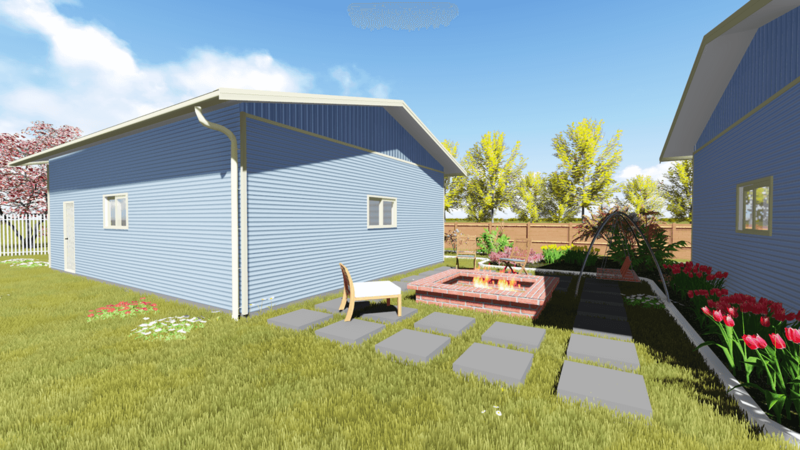 Storage sheds have become common in the Perth area for two main reasons. First of all, space is at a premium in Perth and many suburbs as the average block size has decreased by almost 50% in the last forty years. The other reason is that a well-constructed shed provides the best value for the money you spend on storage. Here are seven things to consider when looking at a storage shed. A lot of people think going to a big box store and buying a cheap shed is a “bargain”—it isn’t. Your shed is going to be around as long as your house. Make sure you have a high quality shed built for you. You want your shed to look like part of your house. This enhances your home’s aesthetic value now and the resale value later. This can only be done by having a shed custom built for you. Your shed must also blend properly into your landscape. This requires a professional to help with your design. We do this free of charge. We use Colorbond, Ultra Colorbond or Zincalume made of BlueScope Steel because they are the best materials on the market. In addition, we have extensive knowledge of local council codes and can contact your council for you if you like. We provide a full range of accessories such as windows, doors and vents to ensure that your shed is easy to enter and exit while fully protecting your belongings from the elements. Unless you are a professional yourself, don’t mess with DIY. Our professionals provide high quality and save you the hassle of doing it yourself. Call us today: 1300 778 628.